It’s “This Week in Classical Music”, an update on what’s happening in the classical music world; I’m Randy Kinkel. 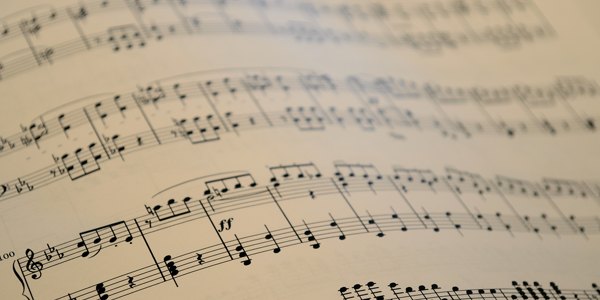 The Website Bachtrack is a classical music Stat lover’s dream—it has all the info on the busiest, the most performed, the top operas, and more all contained in an easy to read graphic format. Bachtrack’s annual compilation about classical music worldwide is out, and has some interesting Data. Leonard Bernstein got a big boost from his anniversary year with a surge in performances of his music; he went from # 27 last year to the third most performed composer in 2018. His Dances from West Side Story was the #1 performed piece in 2018; and it also made it to #42 on your KBACH most wanted top 100 list. Every year, a third of all opera performed is either by Puccini, Verdi or Mozart. Verdi had 3 operas in the top ten most performed. You can see all the stats---on the website bachtrack.com. An elderly Care home in England has been treating and calming dementia patients with music in various forms—and it seems to be helping them. One particular dementia patient was very anxious and easily agitated, and her caretakers at MHA Weston and Queensway Care Home were determined to find a way to make her happier, so they decided to see if music would help. says care assistant Chloe Pugh. By singing and clapping to music or playing instruments at weekly classes, patients are calmer, which encourages them to participate in other activities. Music also seems to improve their appetites and moods. The care home and dementia care unit has had music therapy for more than 10 years, and more than 2,000 residents take part in regular music therapy sessions, choirs, music groups and use music apps. Music uses different parts of the brain from language, so it can be used to communicate with people with dementia, even if they no longer speak or seem to understand words. As a result, it can help them express feelings and ideas and interact with others. It also reduces social isolation and encourages more physical activity through dancing or moving to the music. Research by the International Longevity Centre UK and the Utley Foundation found that music has significant physical and mental health benefits for those with dementia and helps them retain their speech and language skills longer. “Research suggests music can help people with dementia reduce the need for medication or restraints, address agitation and help people and their families cope better with symptoms,” says the health secretary, Matt Hancock. For more on these and other items and events, go to the website, KBAch dot org; be listening each week At this time for another update; find us on facebook and twitter; and join Linda Cassidy every weekday at noon for the “Most Wanted Hour” playing your top 100 classical pieces. Member supported 89-five KBACH, K-B-A-Q Phoenix and HD, a service of Rio Salado College, celebrating 40 years, and Arizona State University.